The new year is just around the corner and that means it’s time for resolutions. Everyone has a sense of a clean slate and new beginnings as they make plans for a brighter future. It’s the perfect opportunity to set goals for yourself to be athletic and get in the best shape of your life. Here are five athletic themed New Year’s Resolutions that could be perfect for you in 2014. If exercise has not been a part of your life or you haven’t been able to stick with a regimen, now is the time to commit yourself to being physically active. It doesn’t have to be torture or boring. However, you should exercise five to seven days a week for at least a half hour. The longer you stretch that exercise session, the more your body will benefit. Use this stretch cheat sheet to help you know where to start. You’ll tone, trim off the excess pounds, and boost your metabolism. Your cardiovascular system and overall strength will benefit as well. In order to be consistent about your athletic goals, you need to find something you really enjoy. Maybe try one of the dance routines that have set fire to the fitness scene. If dancing is not your thing and basketball is your favorite, get together with a group of players on a regular basis. Or maybe get out the bicycle and push yourself. Or take up hiking. The important thing is to change up your routine and push yourself beyond your old limits. To stick with any fitness goal, it’s going to take dedication. You’ll find that it is easier to stay motivated when you get involved in athletics with someone else. Whether you have a best friend that wants to join you or you want to find a larger group, becoming actively with others will help you stay on track. You can’t forget about strength training in order to burn fat and develop lean muscle mass. You’ll sculpt your body and remain strong, an effort that will pay off as you age and remain mobile. You can invest in exercise machines, hit the gym, buy a variety of weights, or use your own body. Push-ups, chin ups, and the plank position are excellent examples of exercises that use your own weight to enhance your strength. 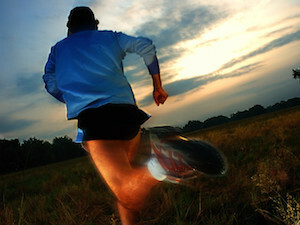 Many people absolutely love to run. If you want to try making this one of your athletic resolutions, start small. Be sure to stretch before and after every run. Pace yourself and build endurance as you lengthen your run on a weekly basis. Get the right gear. You’ll benefit from investing in high quality knee braces and running shoes. If you truly become engaged in this highly beneficial form of exercise, you can begin to set more goals for yourself. Consider training for a 5K, 10K or a marathon. You’ll have a great sense of accomplishment and be in the best shape ever. That sense of freedom when you pound the pavement may become your favorite daily escape. When you wake up on New Year’s Day and think about the months ahead, put athletics on your list. Pick at least one resolution and make a commitment to yourself that will pay off for years to come.